(Medical Xpress)—Results of new research from the University of Adelaide are a promising step forward in helping to improve the quality of life-saving blood transfusions for preterm babies, by reducing the likelihood of adverse inflammatory responses to the blood. Blood transfusions are among the most common medical procedures experienced by preterm babies, who are often anaemic and suffer blood loss. Researchers from the University of Adelaide's Robinson Institute studied 28 preterm babies (at 28 weeks' gestation or less) who were given packed red blood cell transfusions. The results of this study are published today in the journal Pediatric Research. "Blood transfusions are a safe and life-saving medical procedure - they are an important part of modern-day medical care," says the lead author, Dr Michael Stark from the University of Adelaide's Robinson Institute. "It has been suggested that blood transfusions themselves may be associated with medical complications that are unrelated to the reason for which the transfusion is given, and we don't really know why that is. "These associations include bronchopulmonary dysplasia and necrotising entercolitis, inflammatory conditions that affect the lungs and gut of very preterm babies." The researchers have found a potential mechanism associated with the inflammatory response in the body. 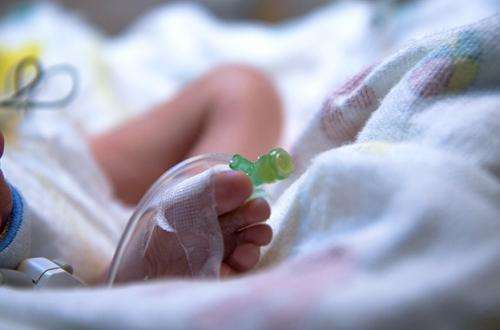 "Within two to four hours of preterm babies receiving a blood transfusion, we have seen elevated levels of cytokines and chemokines - signalling cells - that stimulate inflammatory responses in the body," Dr Stark says. "We believe that the bioactive components of packed red blood cell transfusions are initiating or amplifying these inflammatory processes in the body. "We hope that by better understanding how the body responds to the blood, we can make improvements to blood transfusions that will reduce the likelihood of inflammatory responses. In this way, the patient will benefit from a life-saving procedure and also experience less complications as a result of that procedure. "More research is now needed to determine exactly how this response is triggered, and how we might be able to prevent it," he says.